Yes, you read that right. If you don’t understand what this is all about let me explain. The photo was called “nazo.jpg”, which is where the name comes from. Nazo means “mystery” in Japanese. However he was never seen again from SEGA. Even after a certain fan animation revived interest in the character there was no explanation behind Nazo nor what happened to him. Now we know thanks to a Facebook conversation with Takashi Iizuka. He was not a separate character. 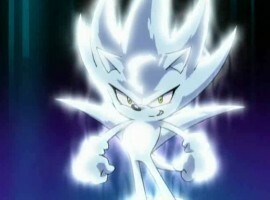 Nazo was actually Super Sonic, likely a beta concept. Although the reason why it didn’t end up in the show was not given (Iizuka-san doesn’t know why) another Sonic mystery has been solved.